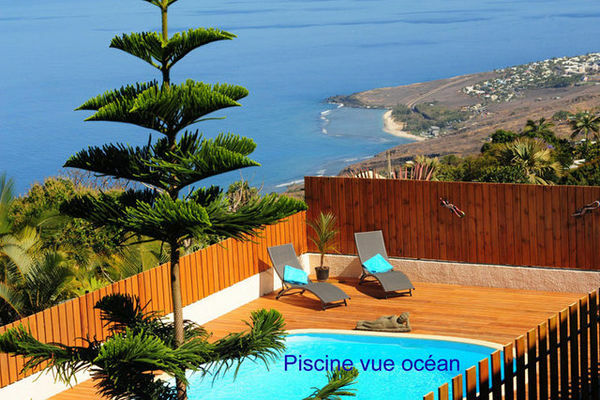 Located in Saint-Leu, Leu Bleu Austral offers B&B rooms. 5 bedrooms, 4 doubles and one family bedroom separated in 2 rooms for 4 people, each room is equipped with flat screen and DVD player (movies available), a desk, a safe box, a terrace with table and chairs and a kitchenette with view on the swimming-pool, the garden and Indian Ocean. Umwelt / Zugang : From Roland Garros airport, head towards on the dual carriage, then drive towards city centre of Saint-Leu. 400 m after the Super U, take left towards La Chaloupe/Etang Saint-Leu (chemin Dubuisson). After 5,3 km uphill slope, take left the D13, towards the Chaloupe/Les Colimaçons. In the village of l'Etang, go past the chemist and 300 m after, take right the D22, towards La Chaloupe (rue Henri Bègue), take the second on the left in a bend, Leu Bleu Austral is situated at n° 15.